Bert Atkins' one stop shop will organise rod, licence permit and tackle hire for game fishing. Garvagh has Ireland's largest supplier of salmon and trout flies. Bert Atkins has an annual output of half a million flies which are sent all over Ireland, to the other regions of the UK and Europe. Bert is an expert on the Agivey and on fishing in general. He is always willing to help give advice to visitors, who can also obtain day permits from him to fish the Agivey. 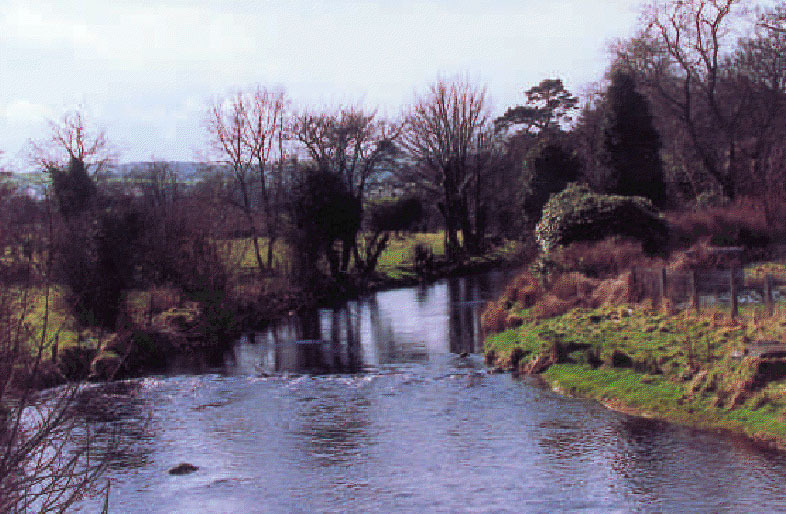 At right: River Agivey from Killyvalley Bridge, from Garvagh's Hidden Treasures and Secret Places.